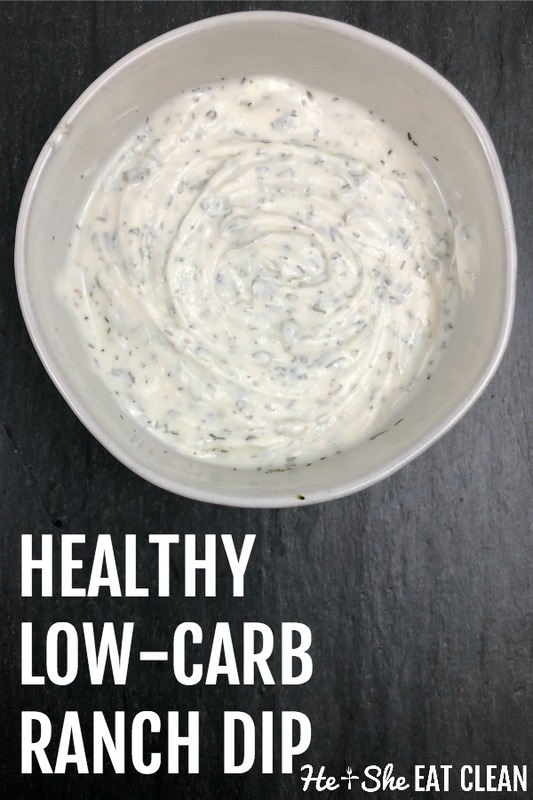 This healthy, low-carb ranch dip will knock your socks off! It only takes 4 ingredients a few minutes to make. It’s perfect for vegetables, as a dressing on a salad, or to dip our Paleo Fried Pickles in! It can really be used for whatever your heart desires. If you are hosting a party pair it with one of our vegetable wreath trays! P.S. If you are looking for other ways to use your DIY Ranch Seasoning, our Clean Eating Taco Soup is a must try! The nutrition facts listed below will vary greatly based on how much coconut cream you use and if you use regular or light coconut cream. I LOVE ranch dressing- like really love ranch dressing- so I am so excited about this healthy ranch! Maybe I will use with cauliflower pizza crust!